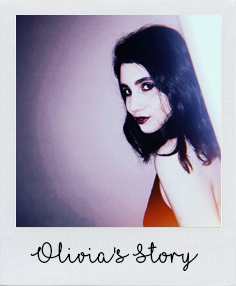 BROGAN NUGENT: OLIVIA'S MENTAL HEALTH STORY. Hi! My name’s Liv, and I’m so pleased to be involved with Brogan’s series. I’ve struggled with my mental health for the best part of a decade now, and I am utterly inspired when I see people discussing their own mental health journeys with admirable frankness. I hope what I write can be of help to at least somebody, and can help others feel that they’re not alone in how they feel. After all, there is always someone who will understand. From around July 2014 to December 2015, I was agoraphobic. I very rarely left the house, and if I did I would only travel in the car for a short distance and not get out until I’d returned home. Even spending a few minutes wandering around the back garden felt like an achievement. All of a sudden, my home had become the only place I felt at ease, all because my troubled mind had convinced me I wouldn’t be safe anywhere else. Really, it is quite difficult to put into words how alienating agoraphobia really is. Shutting yourself off from the world without quite being able to admit why, for reasons you can’t understand. Was it shame? Embarrassment? Fear of ridicule? How do you confess to your friends, after cancelling plans yet again, that you can’t step outside without an anxious, overwhelming grip taking hold of you and refusing to let go until you retreat back inside and shut the door? Opportunities missed. Connections lost. Time wasted. I had to scrabble around, seeking out new passions that would intoxicate my mind and keep me relatively happy without requiring me to leave the house. I became a lover of football, never previously having had an interest in sport of any kind. I took up new indoor hobbies just to pass the time, like exercising in my living room and trying to learn a new language via podcasts. Writing, my biggest love of all, thankfully remained so throughout. I could pour my heart and soul into characters that lived vibrant, colourful lives; such a contrast to myself that it acted as a distraction, and a very welcome one. To be perfectly honest, I can’t quite remember how else I managed to cope. I know I became a terrible insomniac, finding a strange comfort in being the only person in the house awake in the still, silent darkness. I had nothing to do, nowhere to be, so what was stopping me from seeing in the sunrise while my eyelids began to droop? As my family prepared themselves for a day at work or school, I would finally fall asleep, exhausted and lonely. A whole year and a half of my life was spent inside the same house, with very little happening to alter the monotony. Perhaps, because every day was very rarely not dissimilar to the last, that is precisely why those days all seem to fuse into one. Nothing of any note occurred to warrant a memory to save, so I have none. I do, however, remember how damaged my heart felt on one particular day when I couldn’t go to see my family, who lived a three-hour journey away; and instead spent the afternoon crying in my bedroom and bemoaning my future. I distinctly recall sobbing to myself, “I honestly don’t think I’ll ever be able to go outside again.” That was quite a turning point. Maybe I remember it because that was the day I vowed to myself that I would try my utmost hardest to prove myself wrong. I knew it would take time, and a hell of a lot of effort, but I couldn’t go on feeling so helpless. I am so fortunate in that I have a family who support me, and helped me take the first steps into what I call my ‘recovery’. Agoraphobia is so incredibly isolating, and it’s something that I believe will always stay with me. I feel the threat of its return, looming over me like a great black shadow, quite often; as though it’s desperate to reclaim its control over me. But I am, once again, in the driving seat and I will do everything in my power to keep it that way. Back then, I felt like the only person in the world with agoraphobia. Whether I just couldn’t find anybody else, or whether there were plenty who just were too ashamed (like me) to openly admit it, I don’t know. But I do know, now, that there is absolutely no reason to feel shame over something in your mind that has caught you in its clutches. The mind is a powerful tool, and sometimes we find that to our disadvantage. But we all have, within ourselves, the tools we need to turn it back to our advantage. It doesn’t happen overnight, of course. The biggest thing I learned throughout my experience was that we all must be kind, forgiving and compassionate to ourselves. Many a day goes by where I forget to look after myself with the patience and love that I need. But then I sit and remember how far I’ve come since those days – when I thought I’d never set foot outside again, let alone go to parties, get a job, attend festivals surrounded by thousands – and I realise I am capable of so much more than I thought possible.